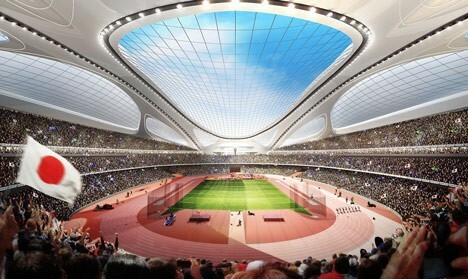 Scheduled to land like an otherworldly spacecraft in Tokyo, the curvaceous, controversial but competition-winning National Stadium designed for the 2020 Olympics by Zaha Hadid Architects (ZHA) will be restarted from scratch. 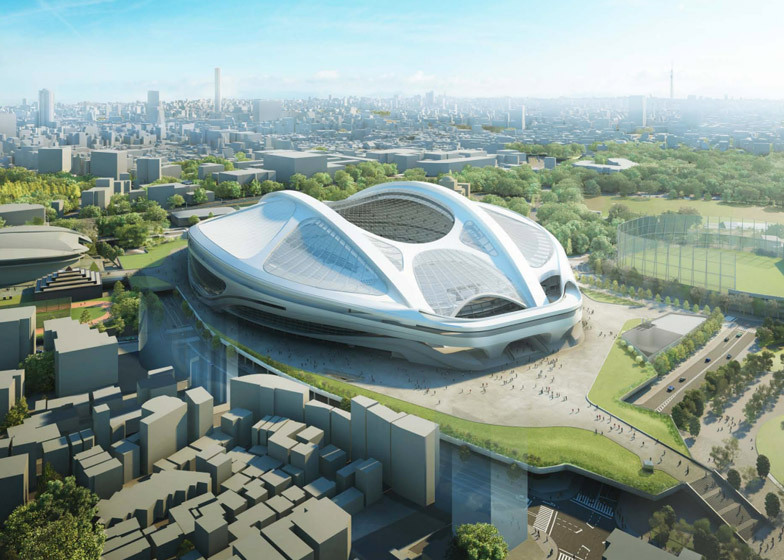 Intended to be a sports center to last a century, the price tag has repeatedly climbed beyond original estimates, recently reaching a reported $2,000,000,000, in part due to expensive materials but also the complex shape. 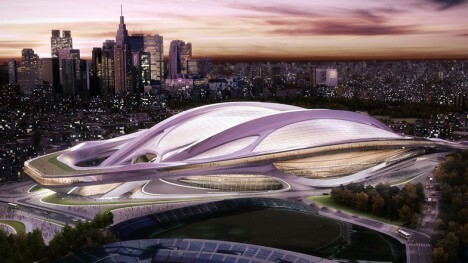 A number of Japanese architects also weighed in, signing a petition to scrap the project – Hadid, meanwhile, as a London-based Iraqi architect, has contended that their criticism is based on the selection of a designer from outside of the country. 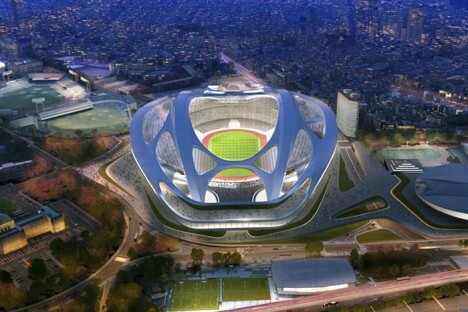 Whether the 80,000-seat stadium will now be designed by another firm or simply restarted by Zaha Hadid is unclear as yet, but 7 years after she won the competition for this concept one might hope they will give her another chance to cut costs or come up with an alternative. 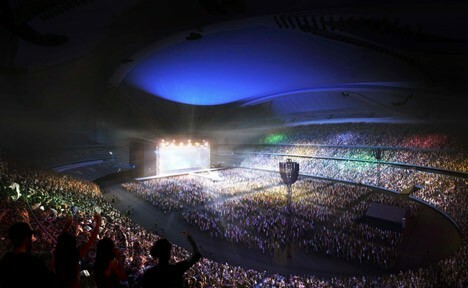 For now, her firm has officially defended the direction they took, claiming the icon is worth the cost and comparable to other world-class sporting arenas in major cities around the globe and that local labor costs are part of the problem: “We have used our experience on major sports and cultural projects, including the hugely successful London 2012 Games and legacy, to design a stadium that can be built cost-effectively and still deliver the flexible and robust National Stadium that the Japan Sports Council requires.” Perhaps the final design solution will more closely mimic the famously futuristic 2020 Neo-Tokyo Olympic Games as predicted and portrayed in the famous 1988 anime Akira.